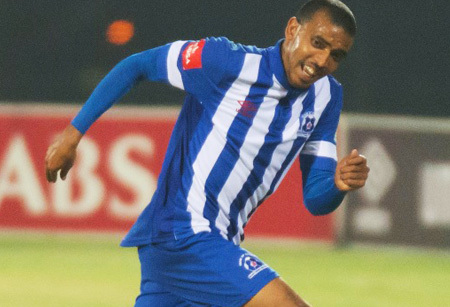 Maritzburg United made it two wins from two games with a 2-1 victory over Platinum Stars in Rustenburg on Sunday. Maritzburg were on top for the first half and had their first chance in the 11th minute when Ryan De Jong’s powerful long range effort was tipped over the goal by Kabelo Dambe. Kurt Lentjies then came close with a couple of headers before the Team of Choice scored through Deolin Mekoa in the 28th minute, Mekoa netting with a left-footed shot following a pass from Mohammed Anas just inside the penalty area. United nearly doubled their lead when Lentjies’ superb pass put in Thamsanqa Mkhize, who picked out Mondli Cele, but the shot went wide. With Virgil Vries barely tested in the Maritzburg goal, United seemed set to play out for the win as Stars failed to muster much of a second half threat. But Dikwena were back on level terms through Ndumiso Mabena’s 87th minute goal. However, the PMB side were to score again, Lentjies doing brilliantly to supply Mohau Mokate with a cross, the striker making no mistake as Maritzburg took all three points for the second successive game to move up in to the top eight.